It takes only three steps to plug all the Recruit.Agent portal features into your website — and we’ll be there for every one of them. Are you ready to give your candidates a five-star portal experience? Fill in your details, hit send and we'll be in touch! Each portal is as unique as your recruitment process. We understand this, as our great team of producers and developers share our heritage of 13 years of building recruitment web applications. When we set up a portal, we'll guide you every step of the way, from deciding on what tools you need (and those you don't), to making sure it works seamlessly with your current recruitment workflows. 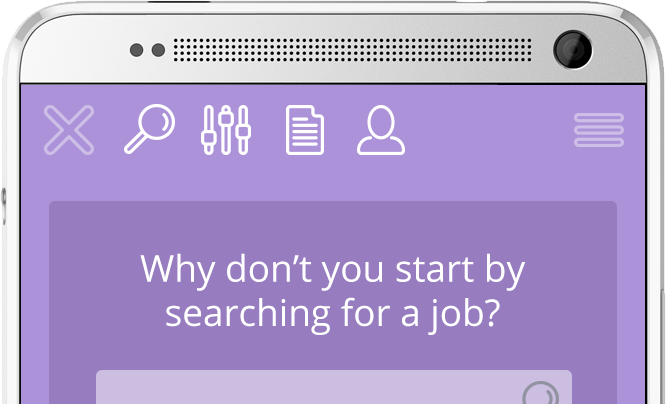 The portal is all about your job seekers and they're going to want to see your jobs. So we've made adding jobs to the portal as simple as possible. Out of the box, the portal comes complete with a management system which allows you to start adding jobs and managing applications straight away. But if you want to make things even easier, our team can plug your portal into a job-posting feed, such as Broadbean, Logic Melon or Idibu. We've taken all the worry and headaches (and any challenges your web manager may pose) out of the equation when it comes to installing the portal. Paste one single line of code into your website and you've finished. That's it. It is a fair statement to say that we couldn't have made it any easier. ... you're ready to go. © 2015 Recruit.Agent. All rights reserved. Recruit.Agent is a Boxharry system.